Are you in search of fresh herbal Tea leaves? We assure to serve you in the best way. We present high quality Green Tea Leaves that are obtained from best sources of the country. The Herbal Tea Leaves offered by us are utilized in the preparation of CTC, Flavor, Green, Assam, Darjeeling and Herbal tea. Known for their high aromatic attributes and good taste, the Tea Leaves are highly demanded by our esteemed customers. 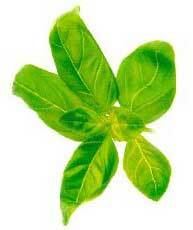 In addition tothis, we provide availability of leaves in various quantities as per the preferences of honored clients. Besides this, these herbal leaves can be obtained at the most affordable prices. We are tagged as one of the most outstanding Green Tea Leaves, Herbal Tea Leaves, Tea Leaves Exporters and Suppliers from India.